The Little Kiwi is a beautifully presented "bach from the past". Perched above the north side beaches, the cottage has beautiful wooden floors, lovely indoor/outdoor spaces and is a great holiday choice for couples and families. The main house has two bedrooms with the third bedroom located in the detached studio, with its French doors opening up onto its own private deck provides a nice romantic retreat. Little Kiwi is centrally located and close to the white sands of Oneroa, Little Oneroa Beach. There is a fantastic playground/bbq area at nearby Little Oneroa as well as a dairy and fish and chip shop. 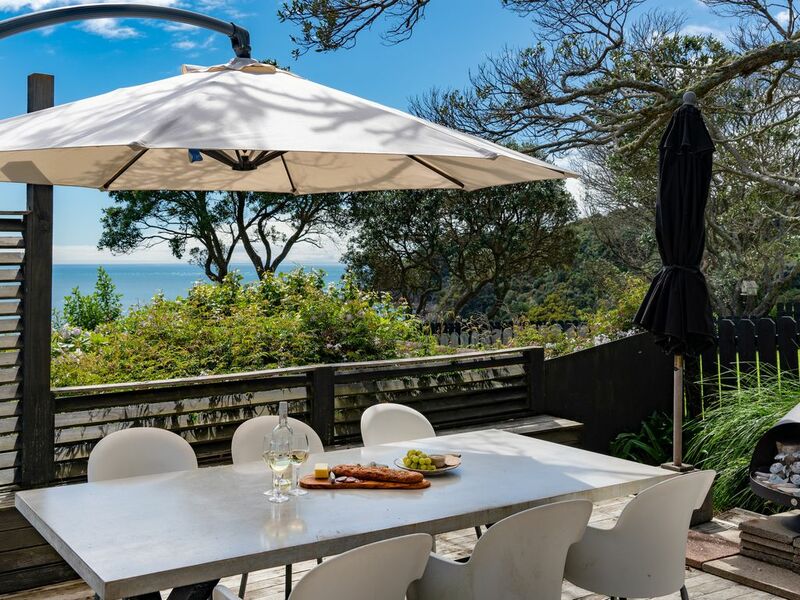 The main village of Oneroa, the passenger ferry at Matiatia, the vehicle ferry at Kennedy Point, a large supermarket, and Onetangi beach are all within a five to ten minutes drive from the property. Great place, views are fantastic! Amazing! Only thing that surprised us was the water restriction! Other than that, wonderful! Great location, a short walk to the shops & beaches. Great location, a short walk to the shops & beaches. The batch had comfortable beds & living area. Very clean. A great deck for BBQ's. Comfortable for 4 people. Lovely Bach, true to description and photos.